Looking for a Harvard Apparatus Catalog? Harvard Apparatus now offers customers a series of catalogs. Each catalog is designed to meet your needs in specific areas of research. Request one or all of these catalogs and they will be shipped to you free of charge. Please select the catalog or catalogs you would like using the form below. Catalogs also can be downloaded here. Harvard Apparatus, the global leader in syringe pumps, is pleased to announce the availability of our Full Line Pump Catalog. Complete specifications and application focused information on the entire range of Harvard Apparatus pumps is inside, as well as new products and information resources to improve your productivity and the versatility of our legendary pumps. 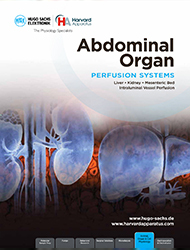 Harvard Apparatus is proud to announce our new 2010 Physiology Catalog. It contains hundreds of new products to accelerate your physiological research. 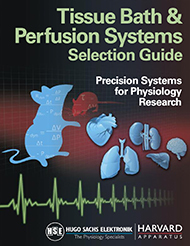 Whether you are working with single cells, tissue samples, organs or whole animals, this catalog is for you! 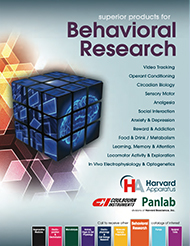 Harvard Apparatus has just published its new Complete Molecular Sample Preparation Catalog. 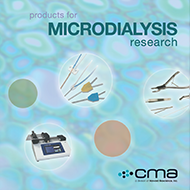 This new Catalog lists the most innovative sample preparation technologies and CPK models. Harvard Apparatus offers a broad range of products for various applications at sample sizes of 5µl to 5ml that can be used for separating small or large molecules, e.g., nucleosides from proteins, desalting samples, concentrating biomolecules, cleaning up samples for mass spectrometry and for binding studies. These Advanced Products include packed tips, spin columns, filtration plates, disposable or re-usable dialysis products and equilibrium dialyzers, ElectroPrep systems and a full line of CPK Models offered exclusively by Harvard Apparatus. The patented 96-Well Dispo-Equilibrium Dialysis Plates from Harvard Apparatus are already the system of choice for accurate binding studies. BTX offers a comprehensive line of instruments and accessories for both electroporation and electrofusion of mammalian, bacterial, yeast, fungi, insect and plant cells and tissues. BTX specializes in providing research tools for novel cutting edge applications such as adherent cell electroporation, high-throughput cloning, in vivo gene delivery, in ovo gene delivery, and in & ex utero gene delivery.